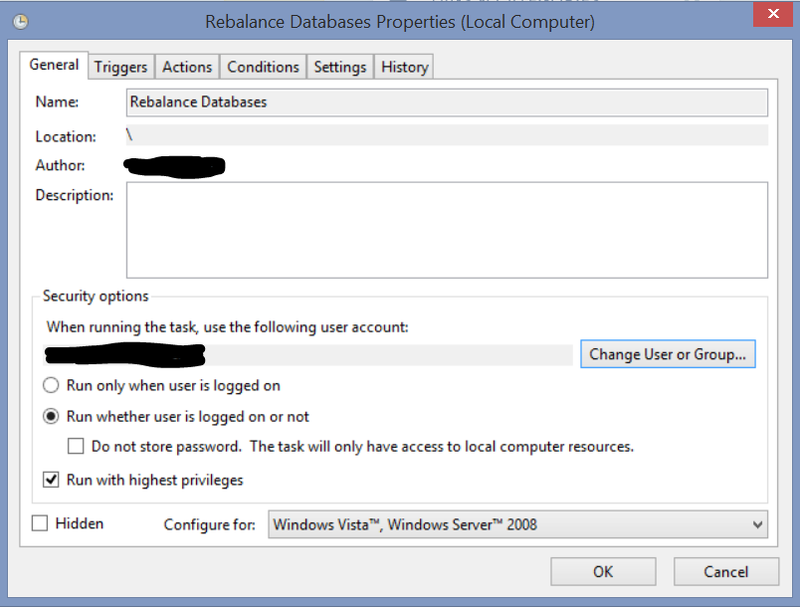 Those of you who manage Exchange Database Availability Groups, particularly in Exchange 2013, will understand the frustration of coming to the office on a Monday morning to find that your Databases have migrated to A. N. Other server because of some scheduled backup or other task which occurred over the weekend. To solve this problem, we can configure a Scheduled Task to run the RedistributeActiveDatabases.ps1 script, which will balance your databases out based on the Activation Preference set for each server. Before you configure this task, make sure that your Activation Preference settings are applied as per your desired configuration. This configuration will mean that when I run the RedistributeActiveDatabases.ps1 script, the MBDB database will be moved, if required, to Server1, as long as the required Database Mount Dial setting is achieved (the default setting is Best Availability which requires the Copy Queue Length to be no more than 12). This would show me all the database copies and their Activation Preference. So we now have our settings configured and we want to setup our Scheduled Task. Open your Task Scheduler and create a new Basic Task. 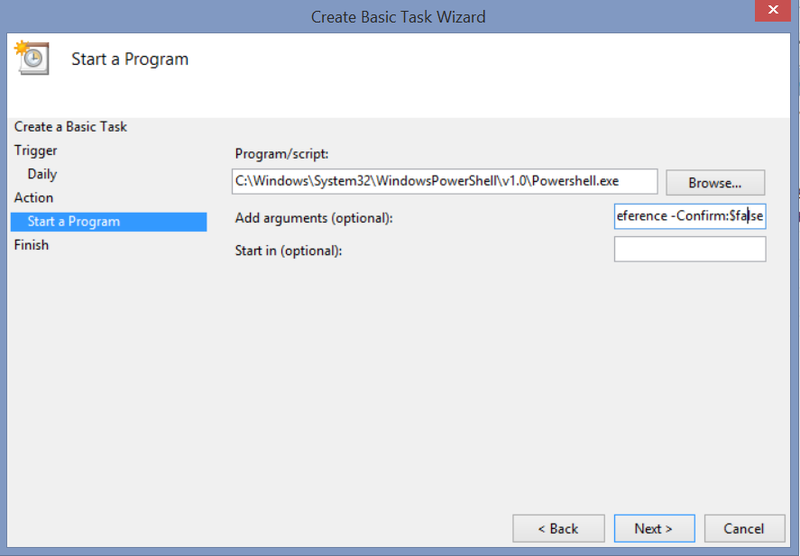 Give the task a name and configure your recurrence schedule for the Task. When you get to the Action menu, choose ‘Start a Program’. Note: Please change the DagName parameter to reference your own DAG! Your Scheduled Task is not configured. You can test it out by manually running it. Hopefully this solves a headache for one or two of you out there! I just wanted to share this great article from EighTwOne on how to block the new Oulook app for iOS & Android. I don’t usually share other people’s posts but I thought this was particularly useful as there is quite a storm brewing in the proverbial teacup over this app. If you have concerns about the privacy and security of this app, use the commands listed in the linked article to create a device block or quarantine policy for the app.